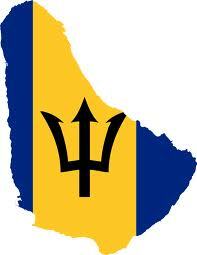 Barbados’ current economic challenges have triggered wide-ranging discussions and debates. The democratic process has become animated since everyone in the country can directly feel the effects. The thrusts of these conversations range from who to blame, what to blame, the socio-political antecedents, evaluations of proposed solutions, and of course, suggestions of what should be done. While it is acknowledged that it is everyone’s problem; there is much attention devoted to who should be doing what. This focuses primarily on the social partners, how they should interact with each other and what constitutes good service to their respective constituents. Most of these discussions are fragmented along the lines of political loyalty, schools attended and class (socio-economic status). One area where there seems to be a consensus, is that attitudes and behaviours amongst leaders and across the spectrum of society, have fallen below an acceptable level. Feelings of being duped by election rhetoric, fed with untruths, clear evidence of cronyism and various other misbehaviour; is embedded in every discussion. This is combined with examples of conspicuous consumption, inhumane working conditions, abuse of women and children, increase in lawlessness, and a system of justice that favours the wealthy. Material wealth, pleasure and power now seem to be the dominant drivers of thought and focus. Obviously, when there are the “boys on the block” who are idle and seem disconnected, when there are people who have jobs but can’t make ends meet, when unemployment is increasing and the pathways to gainful employment have become ambiguous, when there are substantial segments of society that engage in activities that are deemed illicit as well as illegal, and when the family and schools are besieged with non-compliant attitudes and behaviour; economic and political approaches to the future are clearly inadequate. When this reached a certain crescendo, there is the inevitable cry that the Church should be doing more. Indeed, the churches themselves agree and seem confounded as to how they can play effective role. This is particularly true in light of scandals involving the clergy or persons who were viewed as paragons of virtue. This last dilemma became apparent when somebody suggested that we should go back to prayers and religious instruction in the schools. I was taken aback by the vehemence of an objector who cited the need for the separation of church and state. The main point was that he did not want his children or any other children in Barbados subjected to the dogmas contained in religion. After a review of Wikipedia and other sources, I gleaned that this concept seeks “to be free of religious rule” to ensure that “public activities, decisions (especially political ones) should remain uninfluenced by religious beliefs or practices”. A generally accepted definition of religion is “an organized collection of beliefs, cultural systems and world views that related humanity to an order of existence”. By this definition; science, technology and commercialism have become dominant, secular religions that have led to the current circumstances. We are all culpable. As a Christian, I happen to believe that God created me and provided clear instructions (both written and by saintly examples) on how to order my life toward fruitfulness. Non-Christian and non-religious people also have access to these same “natural laws” every day. Issues of human dignity cannot be a sidebar. This entry was posted in Articles, Change, Perspectives and tagged Barbados, Business, Reflection by StrongWords Live by Dennis Strong, CMC. Bookmark the permalink.